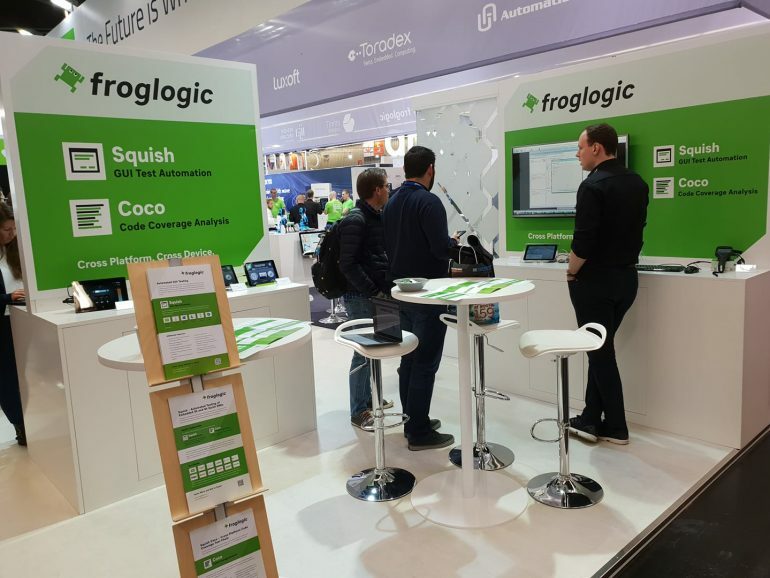 After three days filled with test automation, we finish this year’s Embedded World conference going in a positive direction for automated testing. Each year, more people become aware of the need to automate their testing efforts, wanting to integrate GUI testing into their development processes. At this year’s conference, we met some of those people, as well as some of our long-time customers. It’s always a good feeling when those customers visit our booth to tell us what they’ve achieved with our tools, and how they’ve been able to use their time better, reduce stress, and most importantly, save on coffee. We look forward to next year’s Embedded World to keep fighting GUI bugs and untested code.